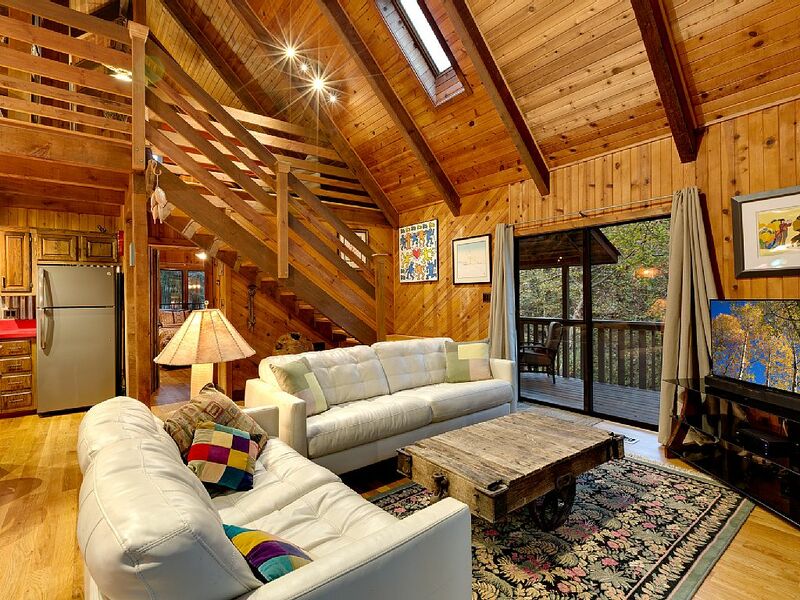 1300 square feet is plenty of space for this two-bedroom, two bath rustic cabin the Swannanoa River, just west of Asheville, NC. As you’d expect, the interior is all wood and stone, with a few surprises thrown in (more on that later!). But this peaceful retreat isn’t primitive – it’s completely updated inside, with brand-new modern baths and new kitchen appliances. 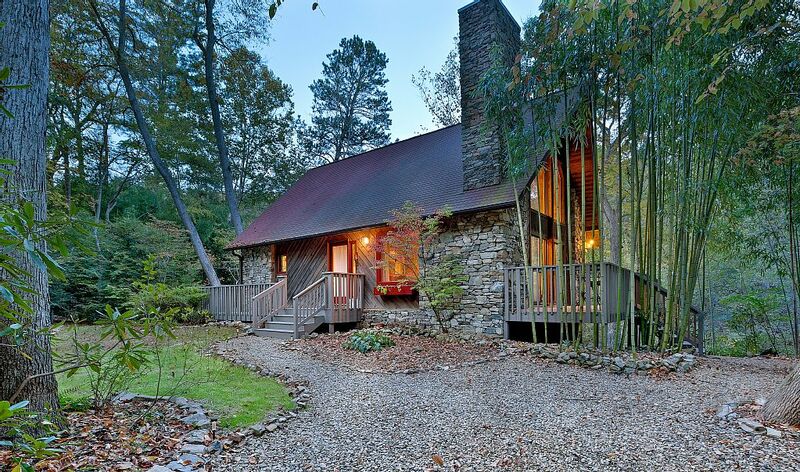 Outside, the steep roof, the wood siding, and the massive stone chimney help this house disappear into the woods. 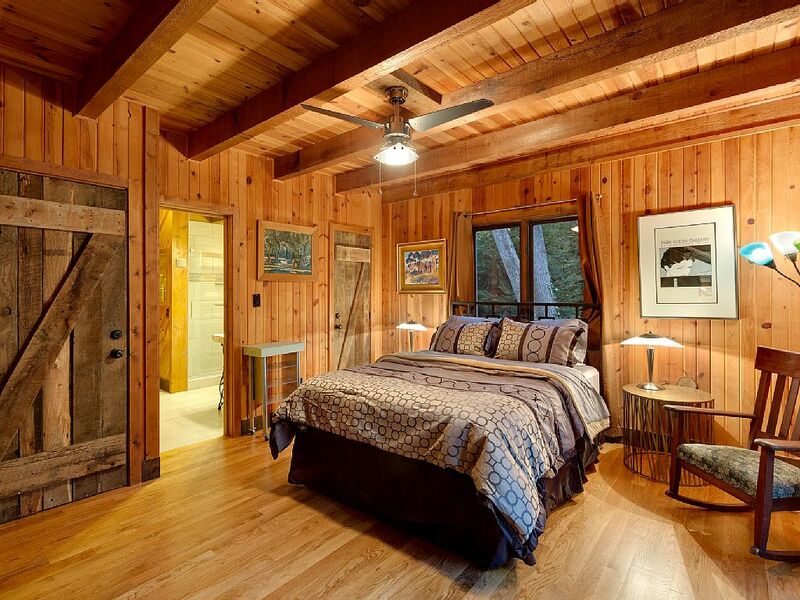 In spite of the floor-to-ceiling wood, this rustic cabin still manages to feel full of light. Simple railing details look just right in this space. 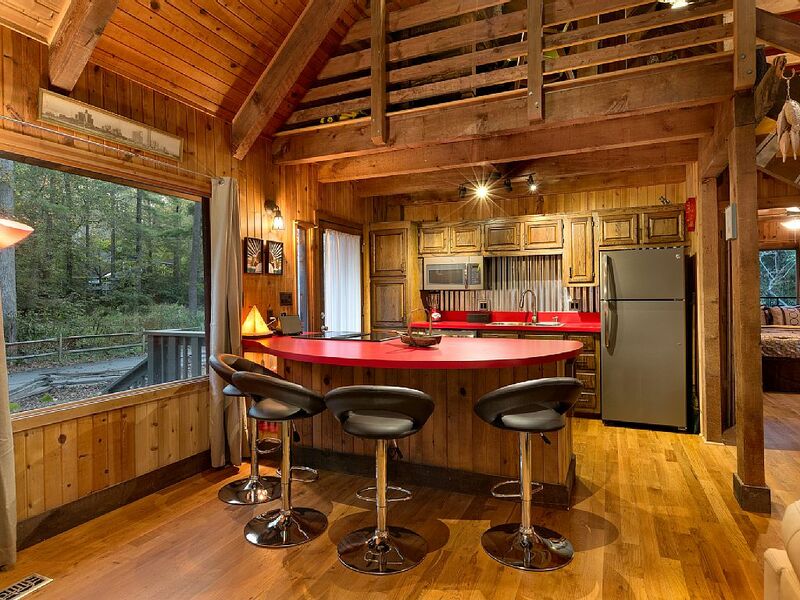 There isn’t an inch of wasted space in this simple galley kitchen – and no money wasted either. 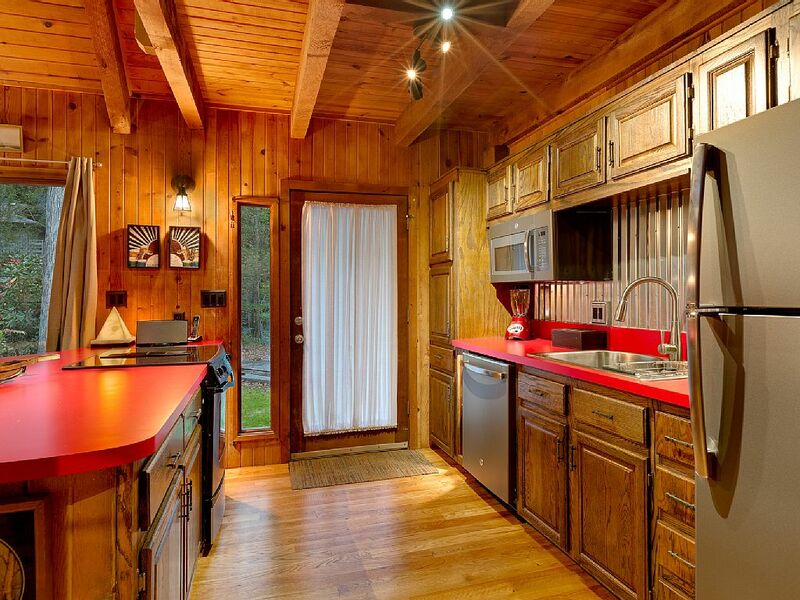 The red laminate countertops add a splash of color, and how about that galvanized, corrugated steel backsplash? 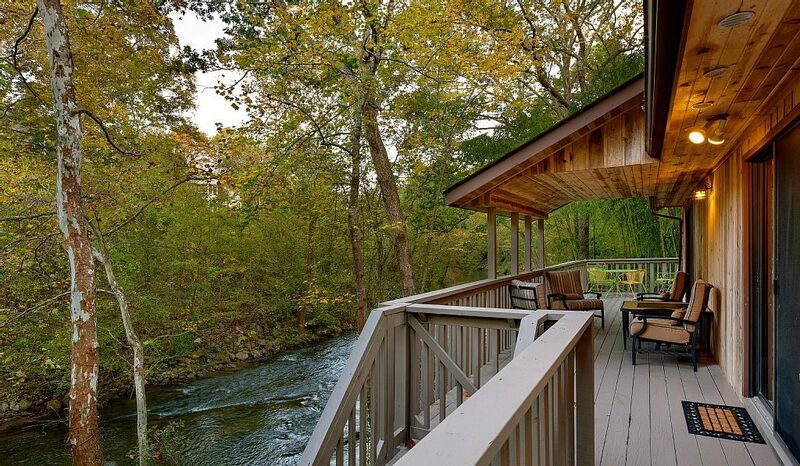 Back outside, this just-right-sized partially-covered deck, off the kitchen and family room, is right up against the clear waters of the Swannanoa. Simple construction fits the feel of the house and keeps the cost of this deck under control. 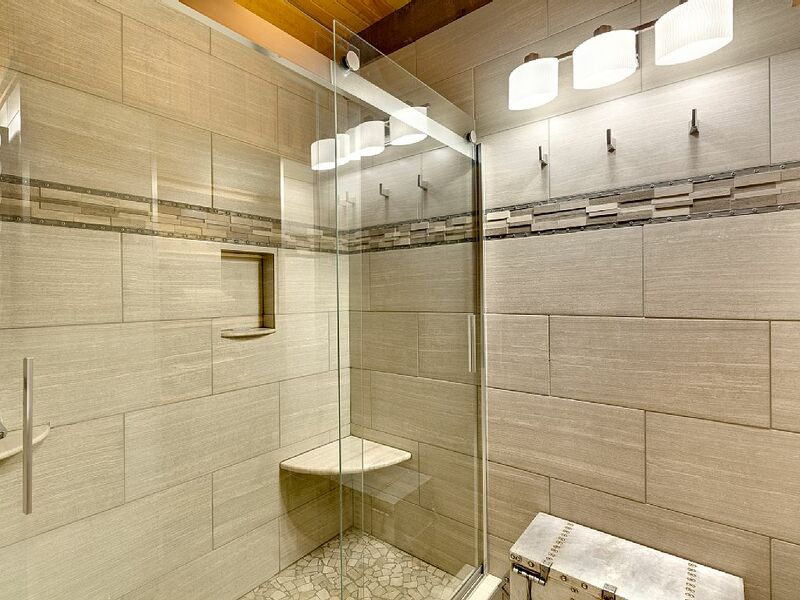 In the master bath, big porcelain tiles on the floor, walls, and shower, and a clear glass shower door on barn door rollers, add unexpected touches of luxury. 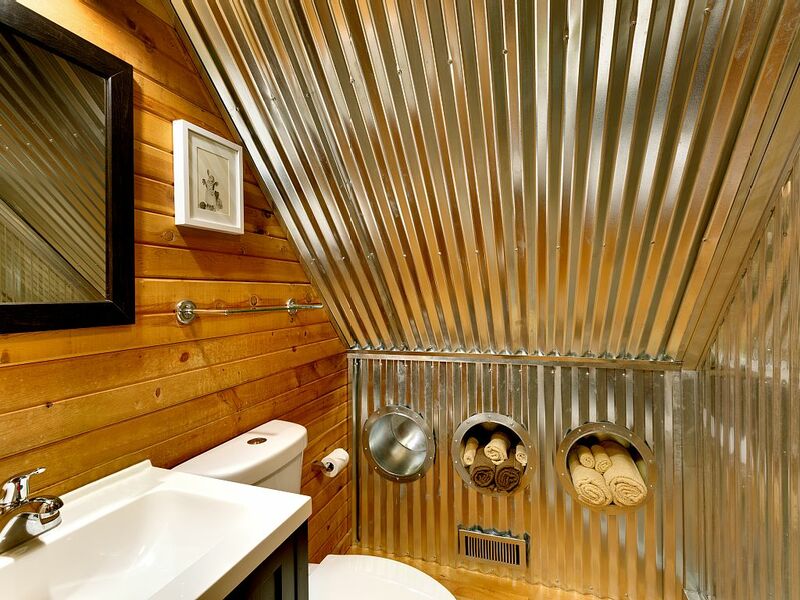 Here’s a whimsical touch we’ve never seen before, but that we really like – galvanized corrugated steel siding – the kind used on agricultural buildings – used for the some of the walls and part of the ceiling in the second bath. 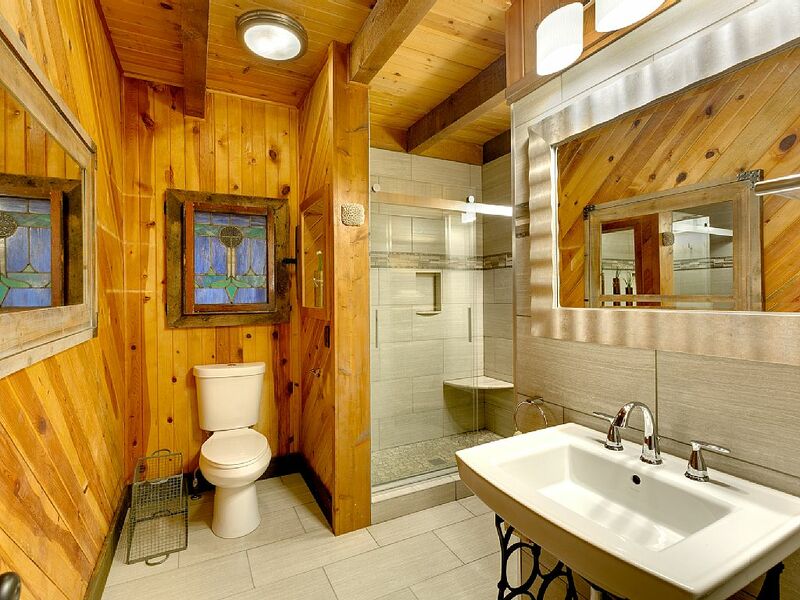 We love the towel niches! The best part? 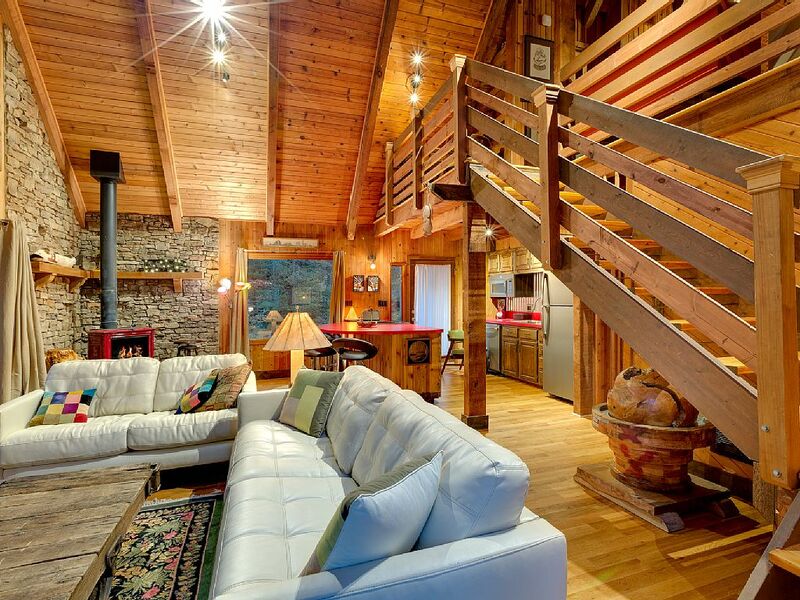 You can enjoy this rustic retreat yourself – check out the listing on VRBO.